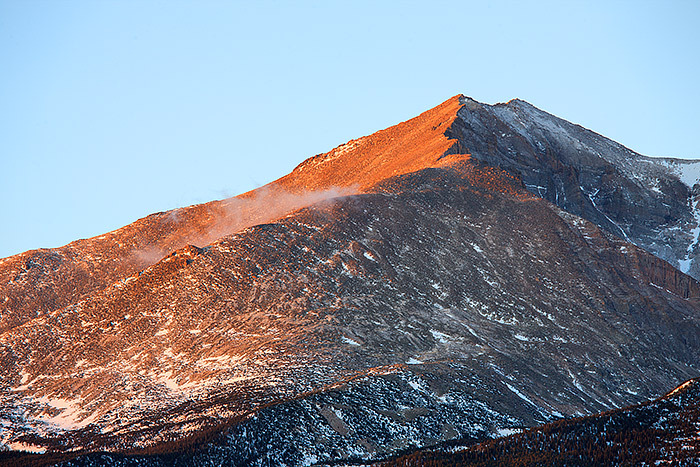 Mount Meeker looks almost volcanic as the new days sunlight illuminates the flanks of the peak. Clouds climb up the side of Meeker as a new winter storm system is rapidly approaching Rocky Mountain National Park. Photo © copyright by Thomas Mangan.